So...Saturday I was at my mom's for my grandpa's 77th birthday party. Mom and Grandma (my grandparents live with my mom) have been in a de-hoarding frenzy lately so they have a bunch of crap for us kids to go through. 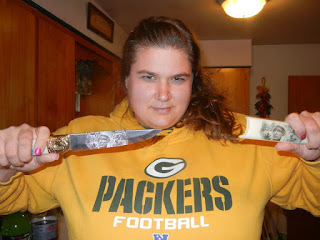 I was digging through Christmas decor (stuff I remember my grandma having up in her house...pretty amazing to remember it and get to have it up in my house now) and mom (of course) was just talking the whole time and I wasn't really paying attention until I heard her say "your brother doesn't even want his knife." "Wait!" I yelled out. 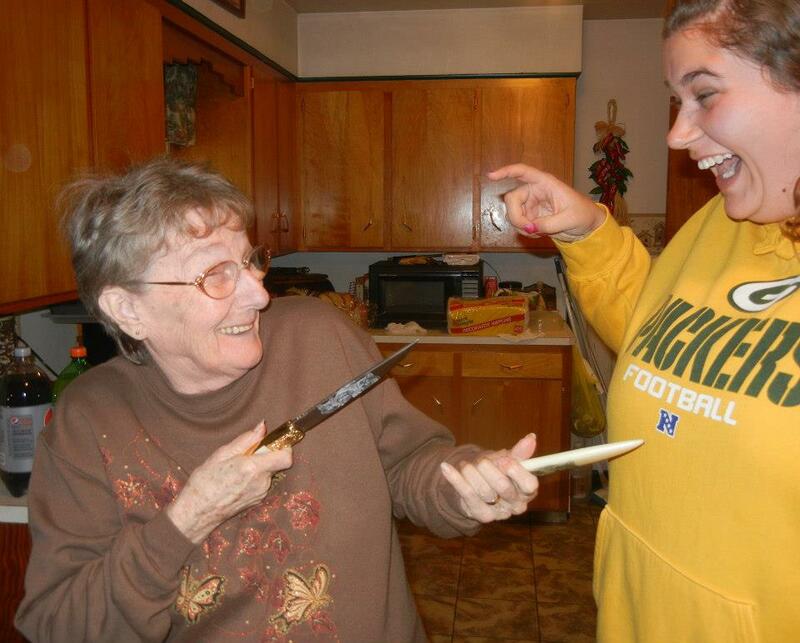 "What knife?" 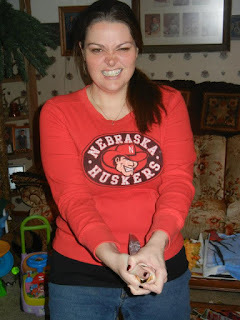 She went to some secret hiding spot and pulled out a scary looking knife. Which I got obsessed with. 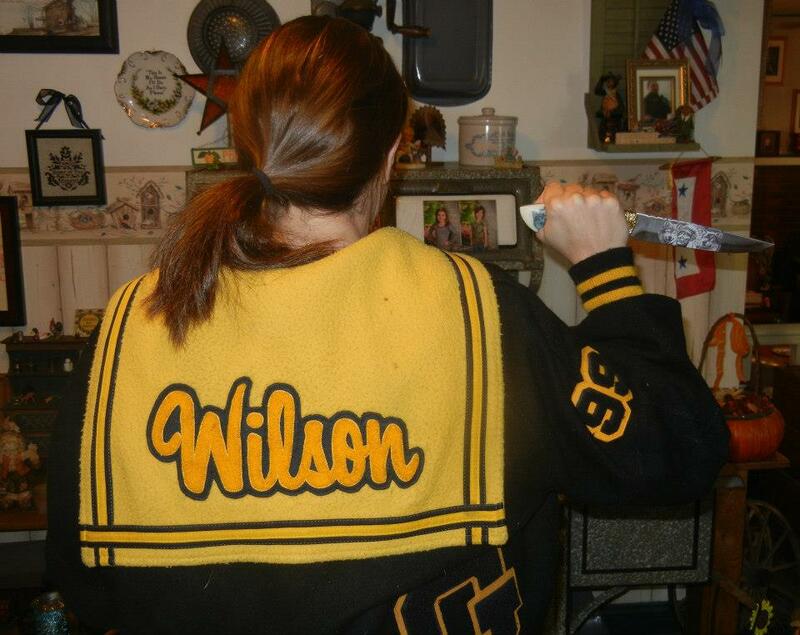 Me, not only modeling the knife, but my high school jacket. When Nebraska started losing, I got dramatic.